Employee accommodation construction is a key aspect of our Nigeria prefab building construction service. We build Nigeria portable cabins and prefab buildings that are suitable for use as office accommodation, workers camp site, construction site accommodation, staff quarters and even for residential accommodation. In fact, we have an employee camp / staff accommodation solution that covers everything your company need to provide full workers accommodation for all your employees or, if you prefer, accommodation for key employees or specific project staff. The good news is . . . we build workers camp and project staff accommodation that caters for the accommodation needs of both management and non-management staff. Each 12m by 3m portacabin is designed to hold two or three comfortable rooms in order to optimize space. And each room is occupied by one management staff. On the other hand, accommodation for operatives or non-management staff house a bit more people. Each room for non-management staff usually have two units of double bunk beds. That means four operatives per room. Portacabins for non-management staff generally do not have in-built toilets. 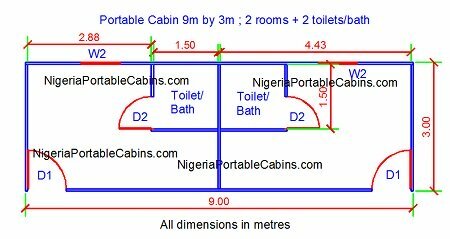 A separate toilet and bathroom prefab cabin is provided for a group of operatives as decided by the company's project management team. In addition, the use of bunk beds in non-management staff prefab cabins allows management to house more construction works or project staff per room. And thereby optimize employee cost since non-management staff often constitute the bulk of project employees requiring onsite accommodation. You're probably wondering, "What facilities are provided in the camp site?" We do more than just build the portacabins or prefab cabins and deliver them to your employee accommodation location or camp site. In addition to providing all the prefab cabins required to house the entire project team, we also provide . . . In simple words . . . we provide everything your company's employees need to be comfortable and focus on their day-to-day tasks. Thereby increasing employee productivity, which inevitably improves your company's profit. Setting up your own workers camp or employee accommodation area within your client's premises (or project site) has immense benefits. Have your company won a major offsite contract? 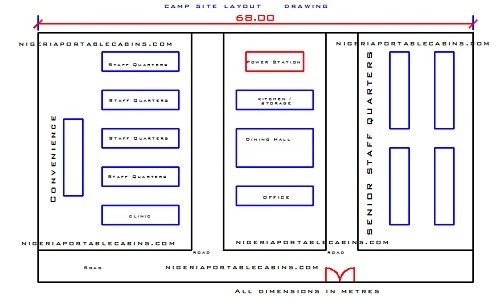 We recommend you setup workers camp site to house all staff involved in the project. That way you save money big time and make MORE profit. Want accommodation for your employees? Fill the form below to request a quote. P.S: We provide custom-built prefab cabins or portable cabins. But we can also build to your specific needs. Simply send us your specification and we will build to your taste. Start the process by filling the employee accommodation order form below.